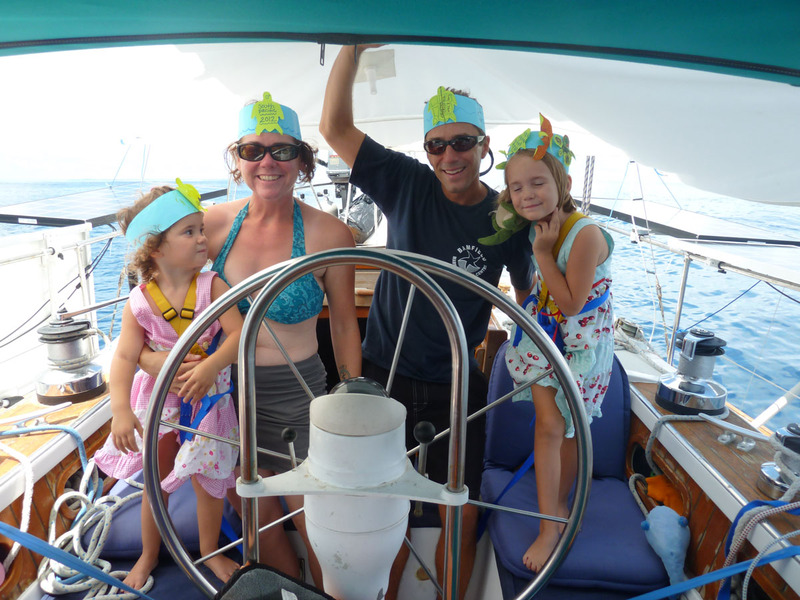 Sara, Michael, Leah (11), & Holly (8) Johnson began cruising in 1999. 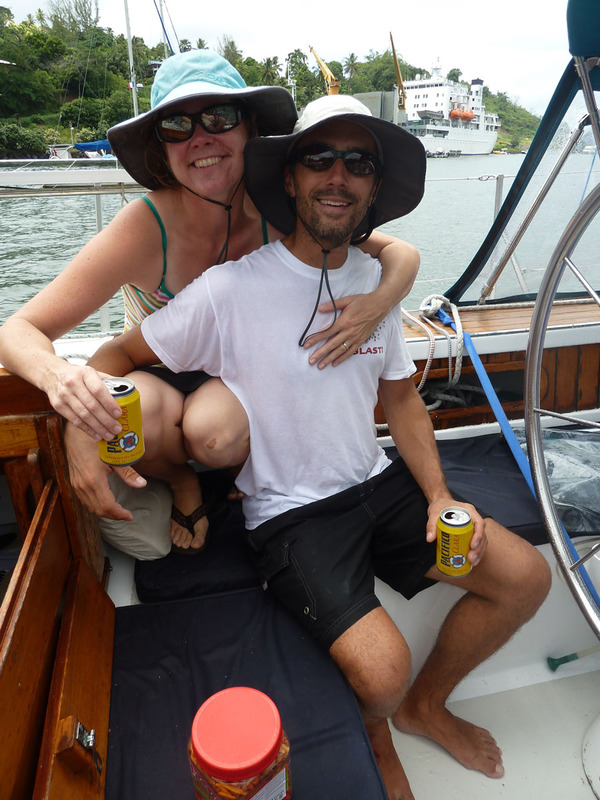 Their most recent cruise was aboard Wondertime, a Benford 38 Ketch hailing from Seattle, WA, USA. Before they had kids, Michael and Sara cruised to British Columbia and Alaska (their honeymoon!) and a few years later down to Mexico for the winter. 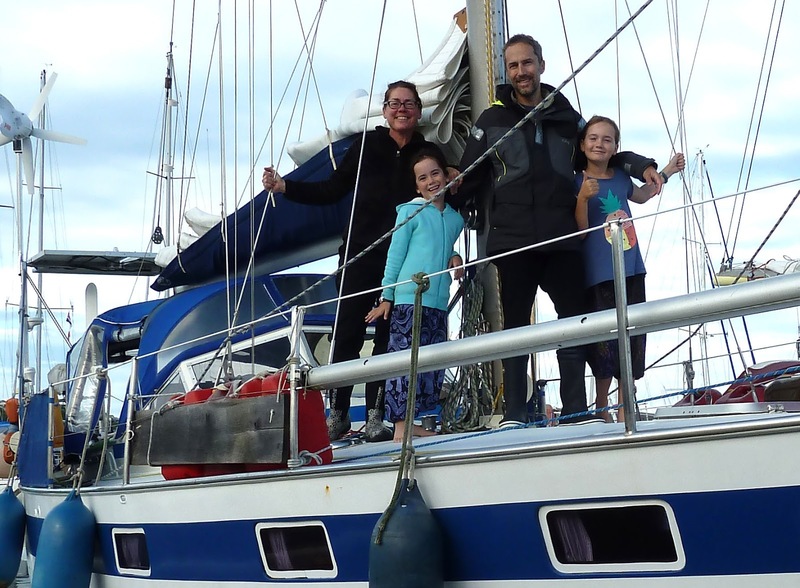 With their children Leah and Holly, they departed Seattle again in 2011, circumnavigated Vancouver Island, continued down the west coast to Mexico then did the puddle jump to New Zealand in 2012. They are still in New Zealand but are preparing to take off again for a third time at some point. They say: "We sold Wondertime in 2014 and after spending the past three years on land (in a house for a year, then a year of RV travel in NZ, then an apartment for a year) we’ve just bought another boat, a German-built 12m steel Feltz Skorpion II (name TBD!). We’ll be in New Zealand for another few years then we've got to see Fiji, at least." You can learn more about their cruise on their website or by email. Editor's note: Sara is a co-author of Voyaging With Kids: A Guide to Family Life Afloat. Why did you change boats and what do you see as the major pros and cons of your changeover? Our Benford 38 was the perfect boat when our girls were young (they were 1 and 4 when we moved aboard). 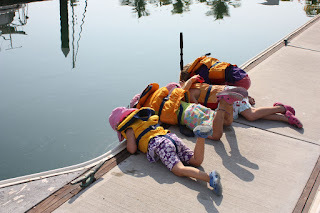 But we simply outgrew the boat; the dinette was only big enough for just the four of us and by the time the girls had doubled in size we were simply too cramped. We also needed a break from cruising so decided to sell Wondertime in Auckland. After a couple of years of living on land we missed the simplicity of liveaboard life and started looking for the next boat (which would be Michael’s and my fifth together!). We had several criteria: sloop or cutter-rigged (we felt Wondertime’s ketch rig was far too complicated for a boat under 40 feet), comfortable living space (BIG saloon table, separate beds for the girls, comfortable double for us), fun to sail, and 40 feet or less. After a year of searching around NZ we finally found the one: a 12-meter steel boat built in Germany and recently arrived in NZ after being sailed across the Atlantic and Pacific by a meticulous German couple. She’s tough and simple and fun to sail and has a great comfortable layout. I think she’ll take us through the teen years and beyond just fine. You do NOT need a catamaran to take children cruising. Seriously though, I see parents online who think they need 50’+ boats to take their kids out on and if they can afford that kind of boat AND handle and maintain it that’s great. But plenty of families are out and about in 40 feet or less and are having the time of their lives. Kids really don’t need a lot of room (but layout—a space everyone can call their own—is definitely key). everyone’s posting on Facebook via their sat phones. Cruisers are so much more connected these days than twenty years ago, both with each other and with those back home. Since sailing has always been about "getting away from it all" this kind of goes against that idea. On the other hand, we too love staying in contact with not only other cruising friends that have sailed on but also our families. But the great thing is that it’s still so easy to disconnect by sailing a few miles offshore or to an anchorage without cell coverage (always plenty of anchoring room in those!). But the good news also is that this connection is all optional: the most fascinating cruisers we’ve met the past few years hardly ever even check email. How painful it is to stop. Even if you want to. Was there anywhere you visited that you thought was overrated (not as good as you had heard)? Was there anywhere you visited that you thought was underrated (better than you had heard)? 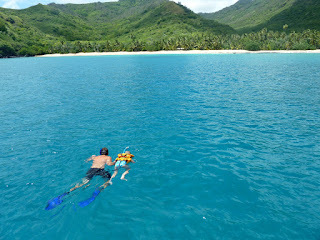 We thought Bora Bora was overrated, quite touristy. But we only had a couple of days there as we'd already checked out of French Polynesia so didn't get the chance to explore outside of the main harbour. 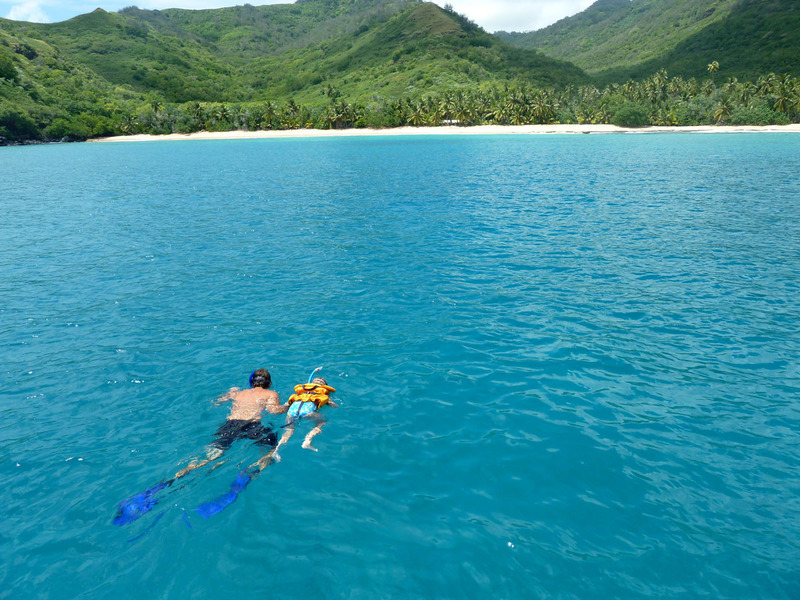 Like anywhere, finding those hidden nooks is where the best cruising happens. Our favorite cruising ground is still Mexico; we love anchoring out in Mazatlan's "old harbor" and taking an open air Pulmonia taxi into the city. It's rough and dirty and our dinghy was nearly stolen in the middle of the night one time (too bad the guy didn't see the locked cable!) but we still love it there. Mazatlan is a beautiful old city. Actually, now that I think about it, the entire west coast of Mexico is really underrated: there are so many amazing anchorages, the weather is generally good, the food is to die for and it's insanely affordable. I feel bad for the Pacific-bound east coast cruisers who miss it! We can't wait to go back one day. The mizzen mast. A ketch rig on a 38-foot boat is cute, but our upwind sailing ability was pathetic (the mizzen would just slat and slam so we'd take it down, thus losing 1/3 of our sail area) and it was twice as expensive to replace the standing rigging before we left (not to mention the additional sail). All our other boats have been sloops or cutters and we're glad to be in the single mast club again! Michael was a cruising kid as a teen, and besides sailing with his parents he crewed on a friend's boat across the Atlantic when he was 15. Our first offshore trip together was in 2000 when we sailed directly from SE Alaska to Seattle offshore. It blew about 30 knots the whole trip. It was a bit rowdy and I didn't know enough then to be nervous. In 2002-3 we sailed from Seattle to Mexico together, hopping down the coast. 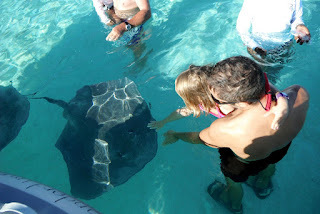 When it came time to leave with our two kids, we grabbed a friend to do the trip with us. We left Ucluelet, B.C. and sailed directly for San Francisco. 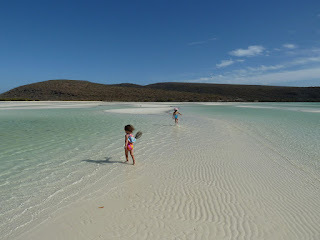 Our daughters were 2 and 5 at the time and having a third adult made the trip so much more pleasant. 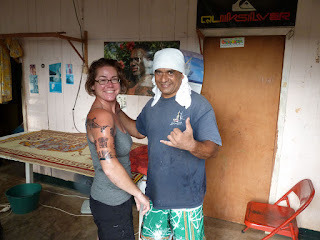 We also had a crew member on our Pacific crossing from Mexico to the Marquesas. I think we're still friends. All of the above: we love sailing (the feeling of the boat steering herself in tradewinds day after day just can't be beat). We love slow travel, even if it's just gunkholing locally. We love the simplicity and affordability (compared to a city mortgage!) of living on a boat even if we're not moving for years at a time. I love having my home where ever we go. Boats and cruising, for us, really is the ideal platform for an enjoyable life. My major beef with the cruising community is this unspoken idea that you cannot “quit” (i.e. take a break from) cruising ever. To do so means you’re not a “real” cruiser. Or you’re a quitter. Or something. Also only “real” cruisers circumnavigate, or cruise for 10 years without stopping, or….you get the point. In our opinion, it doesn’t matter how long, or how far anyone cruises. It’s all about the experience, no matter how or where you sail. There isn’t any one right way to do it. Michael and I have been on again/off again cruising since shortly after we met in 1998 and we have to take breaks from cruising -- both for our sanity and our finances. Like right now, we’re living and working and going to school in New Zealand. We’re saving money and dreaming of places we might want to go (which is far more fun aboard our own boat than in a rental, let me tell you). This is one of the best phases of cruising, the dreaming one. 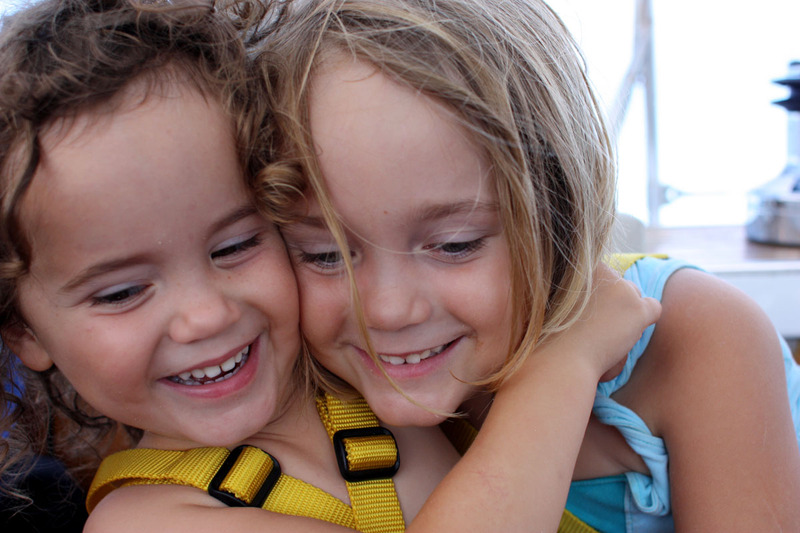 Is cruising the best way to raise kids? Yes and no. It depends. Just like some adults, not all kids enjoy the constant change of actively cruising, often leaving friends behind, etc. Parents need to respect their child(ren)'s individual personalities when planning a cruising life, even if that means swallowing the anchor if a kid is really miserable or just wants to go to school, for example. Maybe part-time cruising would work better for some kids or shorter, local cruises. There are many different routes to enjoying sailing as a family. We think the best way to raise kids is to spend time with them and provide interesting and varied experiences and there are lots of ways to find that outside of cruising. But boat life is definitely our favorite way to do that.